Synopsis: What was the sign the shepherds were to seek? They received a startling angelic announcement on Christmas morning: The Messiah was born! Where? In “the city of David” — Bethlehem. But who was He and how were they to know Him? “This shall be a sign unto you. You shall find the baby wrapped in swaddling clothes and lying in a manger.” Do you think you know what the sign was? Are you certain? And do you know what the sign means? Have you ever wondered why it was important that Jesus was born in a stable and laid in a manger? What was that stable really like? When you see the typical, whimsical “manger scene” in front of churches and in homes at Christmas, do these fanciful tableaux reflect the reality of that first Christmas? Oh, and those cute animals you see at every nativity scene? You’ll never see them in quite the same light again! 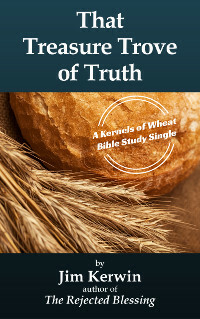 This is the 12th booklet of the Kernels of Wheat Bible Study Singles Series. Synopsis: Do you feel beaten down and forsaken, like God has forgotten you in your trials? Are you discouraged because it seems like the promises you received from the Lord, the ministry to which He has called you, the dream of service that He put into your heart—that all of it has vanished without a trace, and God is nowhere to be found? You may be right on schedule in God’s timetable for your life and ministry. Welcome to “the Joseph Experience”! This book will shine a ray of hope into your darkness. Its message may surprise you, but it will also comfort and encourage you. You aren’t alone—you’re on the same painful path to fruitfulness that has been trod by Joseph in Egypt and many other Old and New Testament believers—and even the Lord Jesus Himself. In “And Joseph Was Brought Down…” Jim Kerwin offers a message we rarely hear nowadays, but which is solidly scriptural, and important if you want to go deeper in your relationship with Jesus Christ. 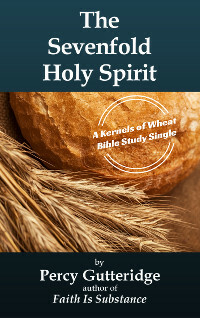 Along the way, you’ll learn the important spiritual principle of “the Genesis 38 Effect”—and you’ll learn how not to be doctored by “the Bible Bandaid Brigade.” It’s all here in this 9th booklet of the Kernels of Wheat Bible Study Singles Series. 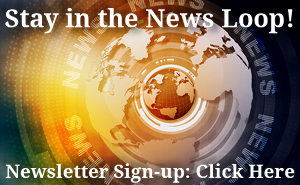 Synopsis: Why is the Holy Spirit called “the seven Spirits of God” in the Book of Revelation? Why is He depicted as seven lamps of fire? Why is He shown as seven eyes? There aren't seven Spirits of God; and yet the Book mentions seven Spirits. But if there is only the one Holy Spirit, then why is He called seven Spirits? It is because God is coming down to our human level to reveal to us who the Holy Spirit is. In this insightful Bible study Pastor Percy Gutteridge gives a clear exposition of the “seven Spirits of God,” explaining the nature and work of the Holy Spirit in a practical way. Each of the seven perfect manifestations of God, the Holy Spirit, are revealed from the Scriptures. The Sevenfold Holy Spirit will introduce you to some of the many pictures God has in His Word to help us understand the ministry of the Third Person of the Trinity. 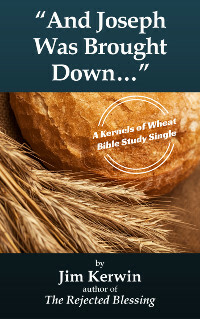 This is booklet #8 in the Kernels of Wheat Bible Study Singles series. Synopsis: Certain individuals in the Old Testament saw God — and they lived to tell about it. Yet John insists, “No man has seen God at any time” (John 1:18); and God warned Moses, “You cannot see My face, for no man can see Me and live!” (Exodus 33:20) A contradiction? How is this possible? To answer these questions, we must look to a unique being called the Angel of the LORD. Was he Gabriel? No. Michael? Not even close! Vastly more powerful than any rank of angelic being, the Angel of the LORD personally represented God Himself. But who was the Angel of the LORD? What was his identity and why was he unique? Jim Kerwin provides us with a fascinating and thorough Bible study on this powerful and mysterious being from the Old Testament. Along the way, you'll pick up several valuable “tools” for understanding the Old Testament. And you’ll come to some surprising insights on how the Bible uses the word “angel.” The logical progression of biblical evidence will bring the reader to what may be a surprising answer to the question posed — Who Was the Angel of the LORD? 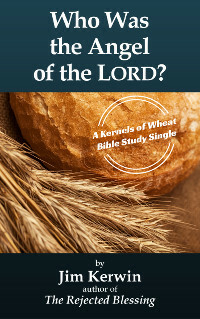 This is booklet #7 in the Kernels of Wheat Bible Study Singles series. This is the first book in the Passion, Purity, and Power series. Synopsis: In Our Great Savior God, Pastor Percy Gutteridge presents one of the New Testament's clearest declarations — the Deity of the Lord Jesus Christ, as well as His role as Creator. Ranging from the mind-boggling immensity of our universe to the amazing life forces at work within the microscopic amoeba, Percy opens our eyes to the expansiveness of God's amazing creation. But he doesn't stop at the awesomeness of the Logos, the Second Person of the Trinity — Jesus — as the Creator; he poses a challenging thought for every child of God: If the One who wields such omnipotence in creation truly dwells within us, then He is a Savior capable of bringing us into FULL salvation — saving our souls and hearts even from Sin itself. If our great Savior God, “whose love is as great as His power,” who gives not out of His riches, but “according to His riches in glory” (you'll know the difference between the two after reading! ), is the one in whom you've put your trust, then His purposes for you, and His power in your behalf, are far bigger than you realize. Your perception and understanding of the power of your Savior will be enlarged when you read Our Great Savior God. 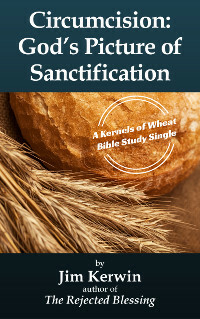 This is booklet #6 in the Kernels of Wheat Bible Study Singles series. Synopsis: Sanctification? The concept is hazy to the typical man or woman in the pew today. The average Christian has encountered God’s command, “Be holy, for I am holy”; but having no clear definition, he or she doesn’t know how to go about becoming holy. It's hard for many to form a picture of the goal God has in mind. A picture? God knows about pictures! As a loving heavenly Father dealing with His children (and the most “mature” among us is still a child in spiritual understanding), He knows that children learn from pictures. So in the Old Testament, God paints many pictures to give us insight and understanding into His ways and His truth. Bible teachers call those pictures “types” or “patterns,” and among Father's numerous illustrations, there are several that depict the process by which we can become holy (that is, “sanctified”). The New Testament frequently refers to one of God's Old Testament pictures of holiness – the rite of circumcision. As Bible teacher Jim Kerwin unfolds this “type” or picture, we gain a glimpse into the heart and mind of the Holy One and His plan, purpose, and provision for the believer's sanctification. You'll come away with a much clearer picture of how to “be holy as God is holy” as you read Circumcision: God's Picture of Sanctification. 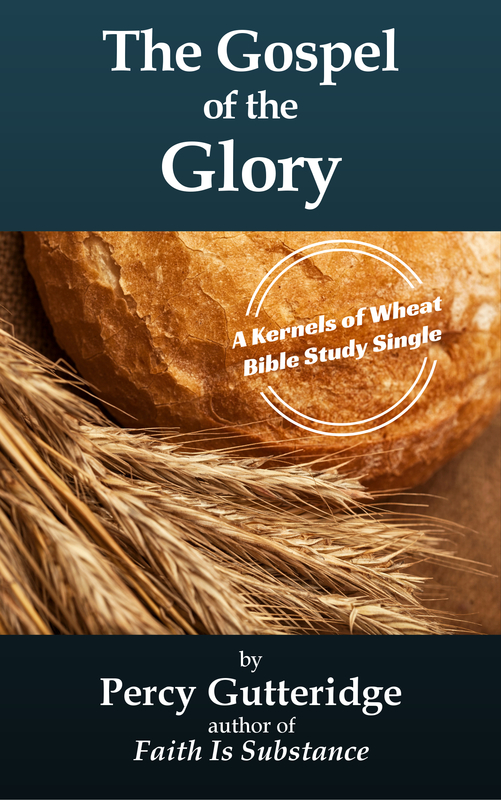 This is booklet #4 in the Kernels of Wheat Bible Study Singles series. Synopsis: “Who is the most powerful preacher that God has ordained on earth?” A human being? Not a chance! None of today’s famous evangelists or ministers has the worldwide audience or impact of God’s sovereign choice. God’s preacher has a message both undeniable and irresistible. Earth’s most powerful preacher speaks a truth that no human being can resist, no matter his or her beliefs. Go on a journey of discovery with Pastor Percy Gutteridge and learn the identity of Earth’s Most Powerful Preacher—before you meet him in person (and you will)! 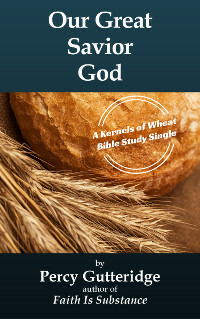 This is booklet #3 in the Kernels of Wheat Bible Study Singles series. Synopsis: Ah, the Christmas season! Part of what makes it memorable is the music, especially the Christmas carols and their message. Often, even non-Christians know the words; but almost as often, even Christians don’t fully understand their meaning. These Christmas lyrics are often jam-packed full of Biblical allusions, prophecies, and the wonder of God’s work among men. Veiled in flesh the Godhead see? 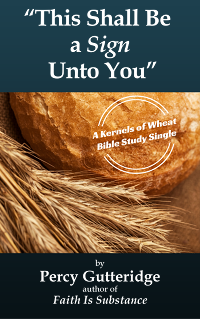 This is booklet #5 in the Kernels of Wheat Bible Study Singles series. Synopsis: What is the Gospel of Jesus Christ? It’s not just a simple statement that Christ Jesus came and died upon a cross that all your sins might be forgiven. The Gospel is not just the good news that at last we don’t have to go to hell, but can go to heaven. The Gospel can be summed up in one word—Jesus! The Gospel is that “the Lamb of God, who takes away the sin of the world,” is here to baptize us in the Holy Ghost; that God Himself, Who is with us, might be in us; and that each of us, by His indwelling, might be transformed into the image of His Son. The Son of God came to bring “many sons unto glory.” In fact, that very phrase, “to bring many sons unto glory,” reveals the gospel — the Gospel of the Glory. The gospel is that God has put the glory back, the glory that man’s sin took away. What is the glory of God? What was the glory of man? Percy Gutteridge unfolds the answers to these and other questions in this Kernels of Wheat Bible Study Single entitled, The Gospel of the Glory. 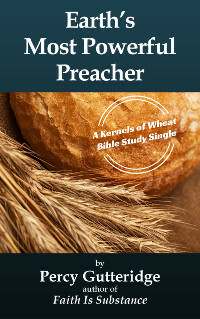 This is booklet #1 in the Kernels of Wheat Bible Study Singles series. Why is it that the Pentecostal movement today lacks the power of its Azusa Street roots? What teaching served as the foundation of the Azusa Street Revival, and how is it that most Pentecostals repudiated that foundation less than six years after the revival began? In this all-too-true tale, you’ll discover larger-than-life – and flawed – men of God, scandalous animosity among Christian brothers, and a contentious prayer challenge in what could be described as a game of spiritual “Russian roulette.” All this played into the seismic shift which shortly occurred within Pentecostalism. 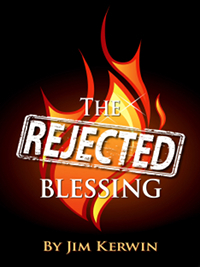 This ground-breaking look at the nexus of the Holiness and Pentecostal movements explains how one of God’s special works of grace became The Rejected Blessing. Synopsis: There are words many North American Christians hardly use any more, God-given concepts, Bible words, which are sacrificed upon the trendy, feel-good altars of “expediency,” “relevance,” and “success.” That uncomfortable word, conviction, falls into this category. What is conviction? Conviction of sin? Conviction of truth? Do you know that conviction is the Holy Spirit's chief means of preparing the heart of a man or woman for salvation in Jesus Christ? Do you know how the Holy Spirit brings conviction about? What tools He uses to accomplish conviction? Do you know how to cooperate with Him in this work? This helpful study in the Scriptures, written by Bible teacher Jim Kerwin, answers those questions, putting the Spirit's convicting work into context and perspective. After reading this concise treatment, you'll have a much better appreciation for God's preparatory work in the heart and for That Uncomfortable Word—Conviction! 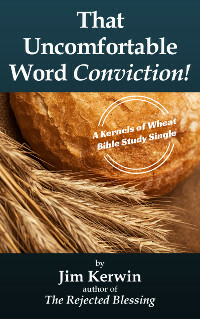 This is booklet #2 in the Kernels of Wheat Bible Study Singles series. Many Christians with good reason wonder why “speaking a word in faith” or “praying in faith” or “praying in Jesus’ name” doesn’t always produce the hoped-for results. “I claim it in Jesus’ name!” “Every promise in the Book is mine.” There’s a lot of confusing teaching about the subject of faith nowadays. How do we get it sorted out and arrive at the biblical basis of understanding this grand subject? And how do we walk before God in that divine faith (not human faith), which He assures us “is substance”? Author Percy Gutteridge introduces us to a fresh, insightful, out-of-the-mainstream way of looking at the larger picture of faith, what it is, and how it works. He covers a solid spectrum of faith-related themes — faith’s Author and Finisher, its conditions, nature, practice and problems; its growth, certainties, perfecting, and what the triumph of faith looks like. 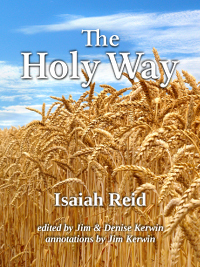 The author also delves into how God prepares His men and women of faith. And he’s honest enough to share not only his successes, but also his failures in learning to live the life of faith. 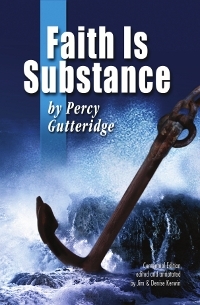 When “Faith Is Substance” made its debut in 1975, its truths laid a solid foundation in many believers which has stood the test of time, and kept many Christians from the foolishness, fads, and fanaticism that are so often associated with the subject of “faith.” With its solid, deep, uncompromising Bible teaching, full of Percy Gutteridge's down-to-earth, “Holy Ghost common sense,” the book's message is needed more than ever today.